The Indian market, off late, has seen a rise in the demand for adventure tourers. While we do have a range of brilliant bikes, most of them are located in the higher price bracket and when it comes to affordable adventure tourers, the options you have are quite limited. However, this small segment is soon going to receive a new contender from the Austrian bike maker, KTM. 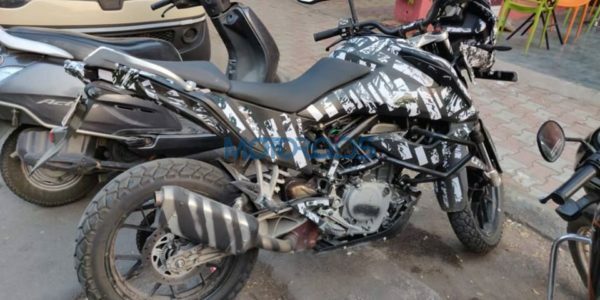 Ladies and gentleman, let us present you some spy images of the KTM 390 Adventure, a bike that has been in the rumour mill for quite some time and has been finally spotted on Indian roads. We thank our reader and fellow petrolhead Chandresh Revankar for sharing these images with us. The KTM 390 Adventure shares the same engine as the Duke 390 and RC 390. The liquid-cooled, single cylinder, 373.2 cc engine is good for 44 hp and 37 Nm of torque. Paired with a six-speed manual transmission, the bike would not only take you across trails but would even provide you with enough power for the road. 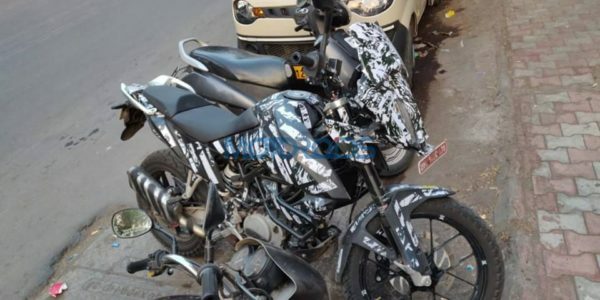 The spy shots also confirm that the bike will get a TFT display for the instrument console which is placed behind a small windscreen. The test mule seen here is sporting alloy wheels but we do expect spoked wheels to be offered as an option. With the alloy wheels though, the on/off rubber on this test mule must have no tube inside. The KTM 390 Adventure also gets an engine guard up front which could also be used to fit additional lights and other accessories. The seat is rather large, the largest seen on any KTM and looks comfortable. Even the pillion gets a proper seat, unlike other KTM models where pillion comfort is not a priority. The spy shots also showcase a belly pan which would protect the engine during the adventurous rip in the trails. 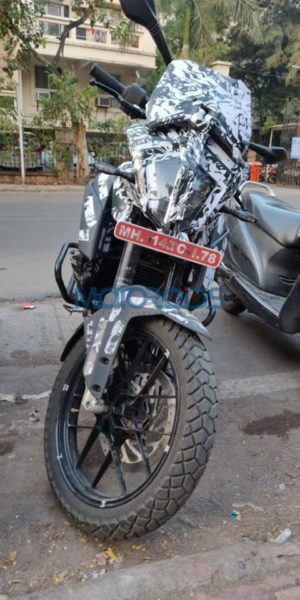 Going by the fit and finish of the test mule, it is safe to say that this bike is in the later stages of development and the launch can be expected very soon, most probably before 2019 ends. Expect a premium of INR 40,000 over the Duke 390 which is priced at INR 2.26 Lakh(ex-showroom). This would make the KTM 390 Adventure more affordable than its competitors like the BMW G 310 GS and the Kawasaki Versys 300.